Home / things to do in Maldives / 7 things to do in Maldives! 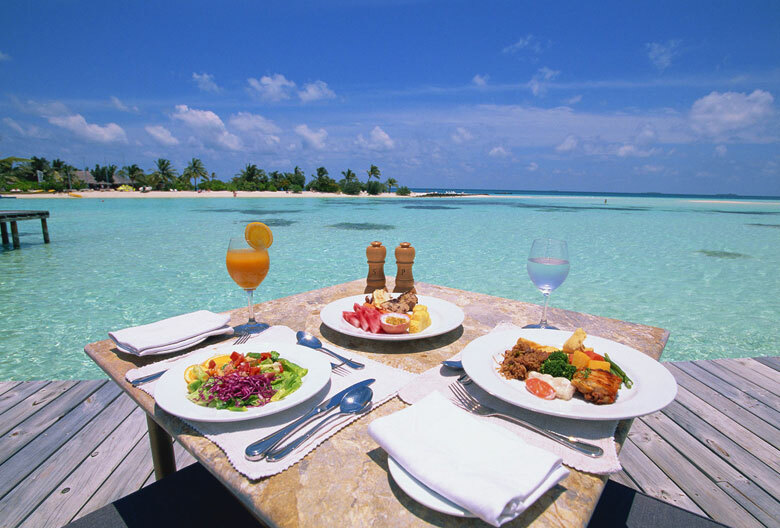 7 things to do in Maldives! The crystal clear water that climbs the white sand beaches is only a fraction of what you can expect to live in the Maldives! While it's 100% acceptable to spend most of your days lying under palm trees, during the two weeks I spent on these spectacular islands, I listed the must-sees in the Maldives! What kind of island food to try, more adventurous water activities, these are all things that I have tried and loved and that I would highly recommend doing! There are also things to do for all ages and all budgets! You may also find that Maldivian culture plays a role in what is to be done there. For example, did you know that you can only practically wear bikinis and alcoholic beverages in resorts? Learn more below! There are two ways to get around all the islands (hundreds) of the Maldives: by boat or plane. Trust me when I say that at least once, you have to take a plane, if only for the view! From up there is the only way to see how beautiful these specimens of the Earth are and how beautiful the waters around them are. 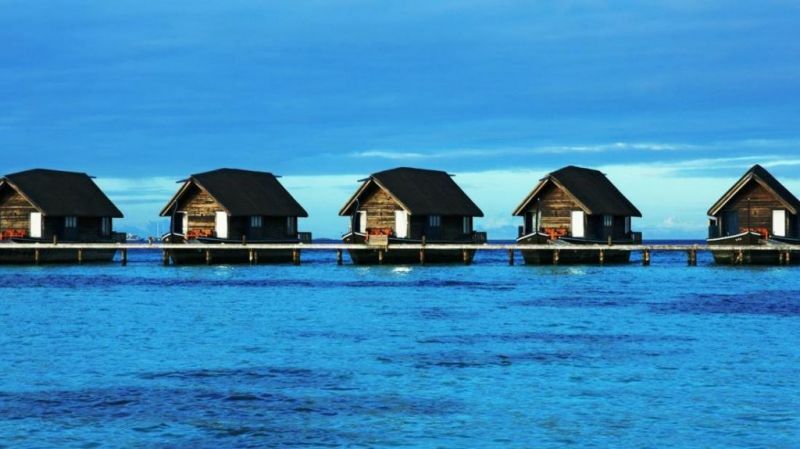 If you look closely, you can even see the bungalows on stilts! Note: Drones are not allowed on many islands, which is another good excuse to fly. 2. Relax on a "bikini beach"
As I mentioned briefly in the beginning, Maldivian culture plays an important role in what needs to be done there. If you go there to get some sunlight in your string bikini or underpants, you can only do so in the resorts or on the designated "bikini beaches" on the local islands! This is because, as many people do not know, the Maldives are a Muslim country! So, if you intend to strut your swimsuit most of the time (which I did 100%), you may want to book it at a hotel! 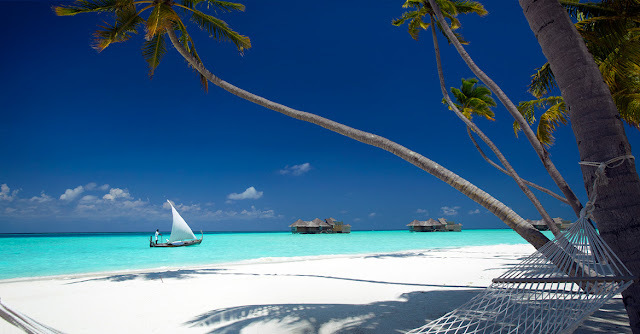 Check out some of the most beautiful beaches in the Maldives for tips! Did you know that a large part of the world's tuna is caught in the Maldives? It was even the fish that I most often saw while diving! That being said, you should definitely try different dishes of fresh tuna, sashimi with sesame in crust and seared! There is also a fairly large Mediterranean influence on food in the Maldives. You will find plenty of delicious mezes to try! Any diver will know that Maldives is one of the best scuba diving destinations in the world, and for those who are not, you know it now! It's also a fantastic place for a first dive, and you can even get certified! What makes Maldives such a spectacular place for underwater adventures? Well, the "islands" of the Maldives are not technically islands ... they are called atolls. An atoll is basically a big piece of coral reef that comes out of the water, and once the top is dry and breaks, it becomes "sand". Or in more functional circumstances ... humans build on it. But what I mean is that all these little islands are full of life under the surface of the ocean! You'll see everything from colorful coral to tiny fish to giant tuna! If you are not ready to try to breathe underwater, do not worry! The Maldives are also among the best snorkeling sites in the world! You can rent snorkeling gear just about anywhere, and many places even have these cool new "snuba" masks! Essentially, instead of breathing through a tube, you wear a mask all over your face and breathe regularly! Shallow waters can also be more fun to see underwater wildlife; especially with the beautiful rays of sun that radiate! The water temperature is usually warm and, even if it's cloudy, do not forget your sunscreen! 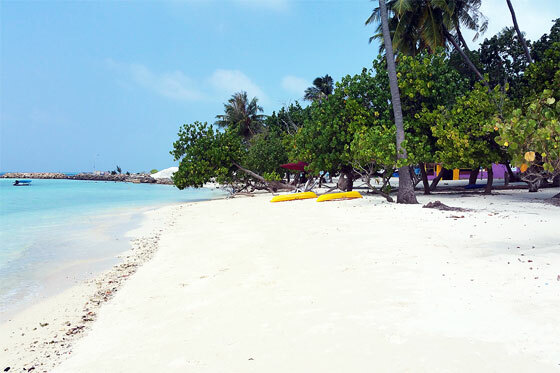 To get a better idea of ​​what I'm talking about atolls, just walk on the white sand beaches. My use of the quote is because sand is usually made from eroded shells, but in the Maldives it is coral decaying! You'll find tons and tons of coral pieces, most of which have been bleached by the sun. Do not worry, breaking up is usually a natural process. 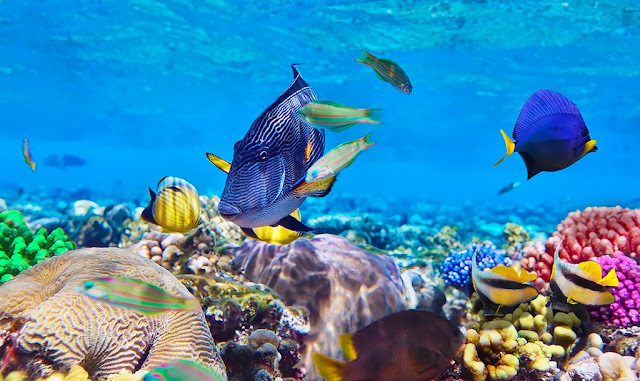 Always make sure to leave pieces of coral where you found them (if everyone was taking a bite at home, nobody would see more in the future), and do not touch those who look like to those who are still alive! If you have the opportunity to make a trip to a sandbar, do it! 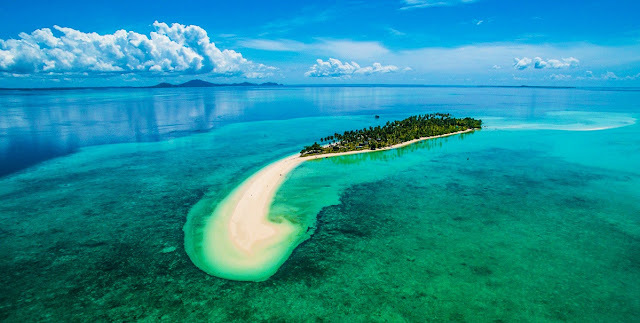 Sand bars are mini-atolls that are not big enough for anyone to build. Some stretch over long distances to create a beautiful photo in perspective, while others are circular with some native plants in the middle. 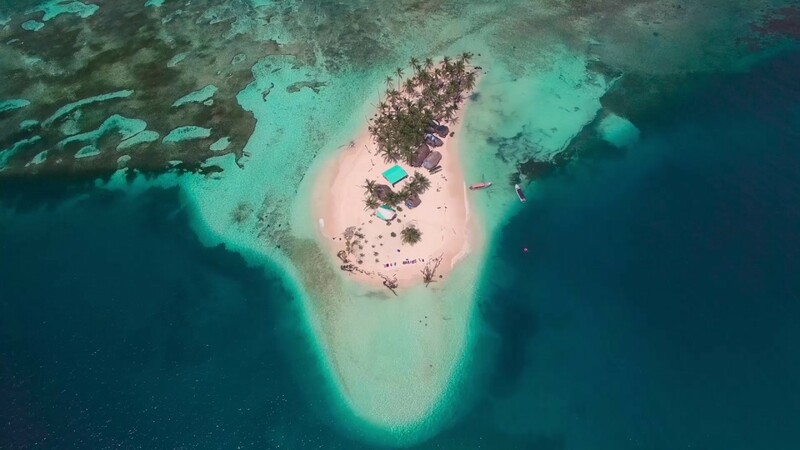 Your trip will probably consist of a small boat with a captain and a guide, who will take you to the sandbar and will also provide you lunch! It's a great way to spend the day, whether you just want to relax on the secluded beaches or do full photo shoots as I do.